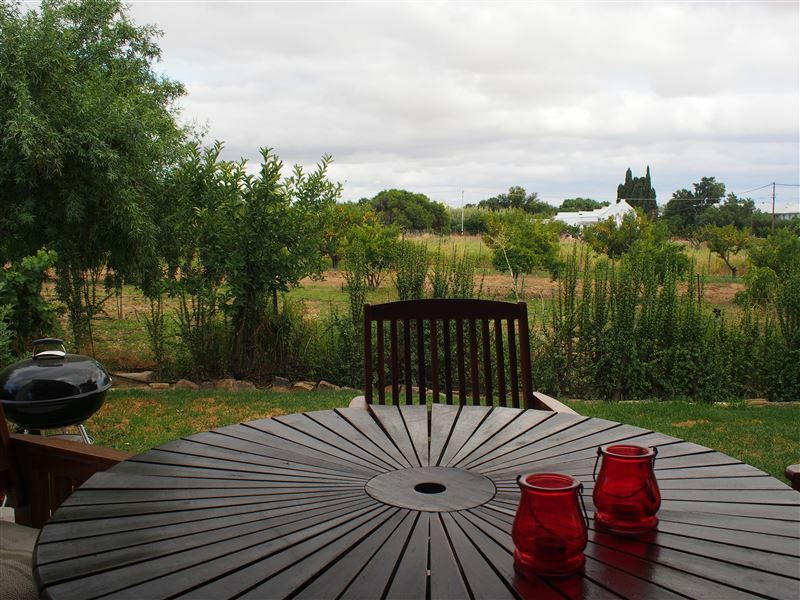 Geduld is a spacious, comfortable home on the edge of town, in quaint Prince Albert, which is nestled at the foot of the majestic Swartberg Mountains. 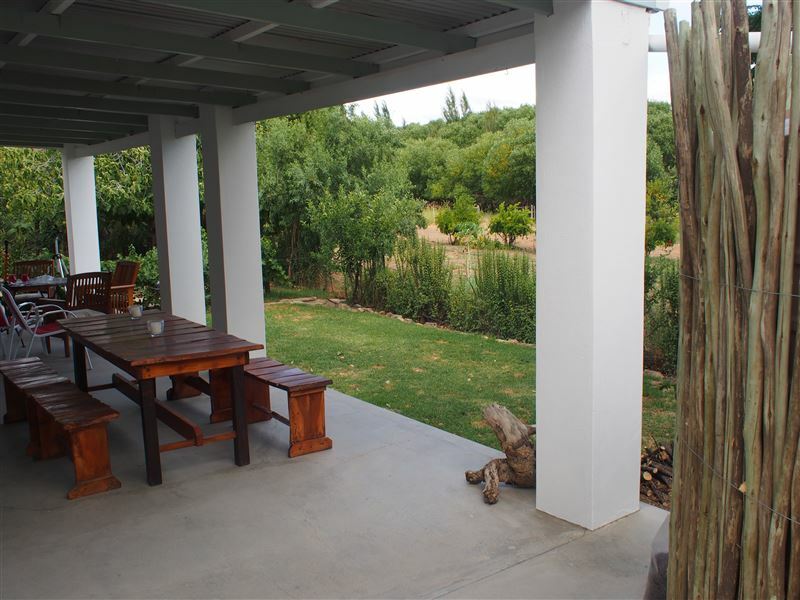 It overlooks peaceful farmlands with grazing animals. 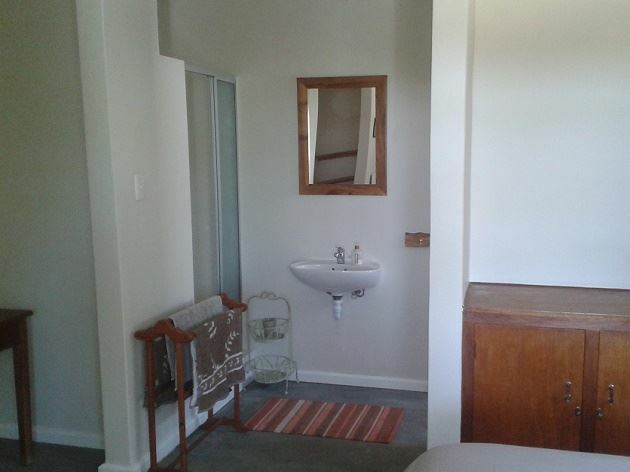 The house consists of three bedrooms and 2 bathrooms, the main en-suite. It has a large lounge with a wood-burning stove, a large, fully fitted kitchen with a family size dining table, as well as a large veranda. There are ceiling fans for the Summer. 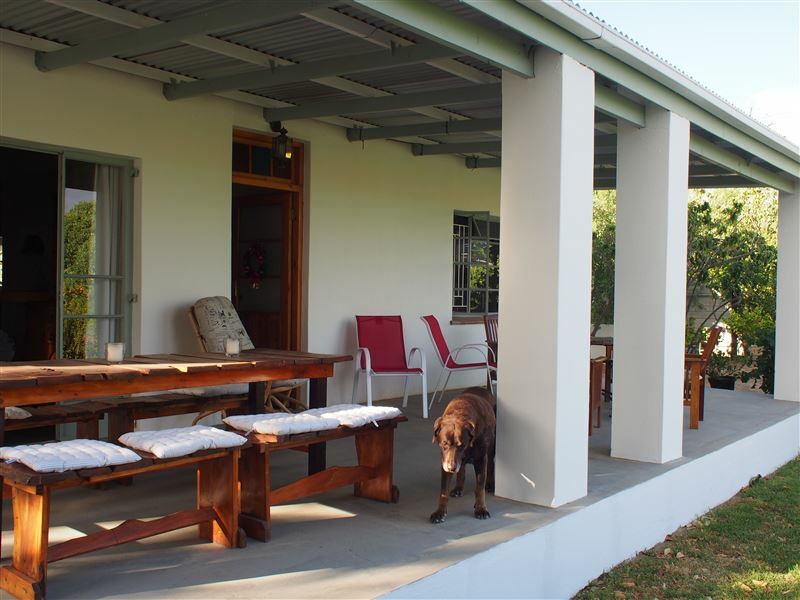 Geduld is an ideal home for a family or a group of friends.There is a braai area under an old fig tree. Enjoy your meals indoors or on a veranda enjoying the view.Bring your mountain bikes and hiking boots to explore the area and make the most of the great outdoors.Everything is within walking distance in Prince Albert, however, we are within very close range to two coffee shops that serve great coffee and delicious meals, as well as Gays Dairy for fresh dairy products.Make the most of evenings under the open skies and stars of the Great Karoo. PLEASE NOTE: Our rates are GREATLY reduced from 3 people or more, due to a minimum rate on the house. "We loved everything that the house had to offer. Maybe a lock-up garage for safe overnight parking can still improve a very classy facility." "Such an interesting friendly and warm house"
"It felt like a home from home. Wish we could have stayed longer. Friendly Elize who received us much appreciated. We felt welcome from the start." 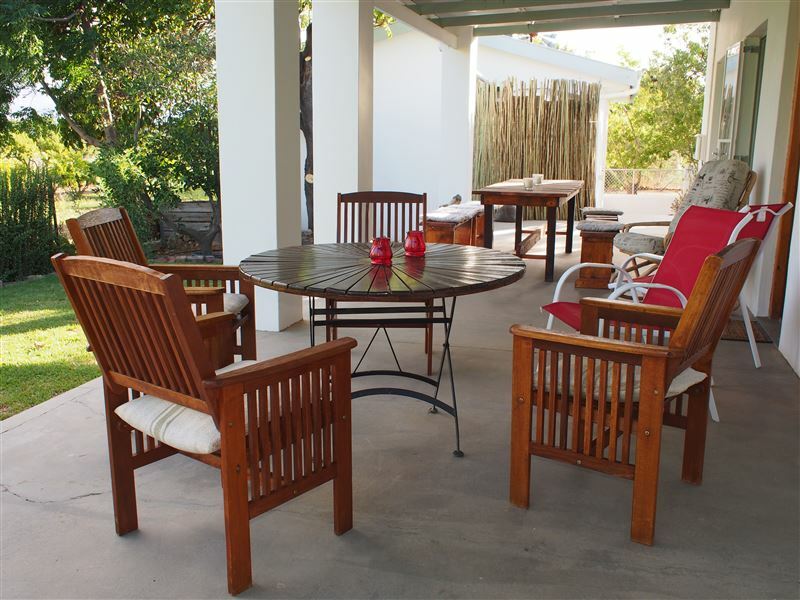 "Clean, comfortable situated in the perfect place close to all the shops and restuarants. peaceful and lovely garden. We enjoyed our stay!!! will be back!." 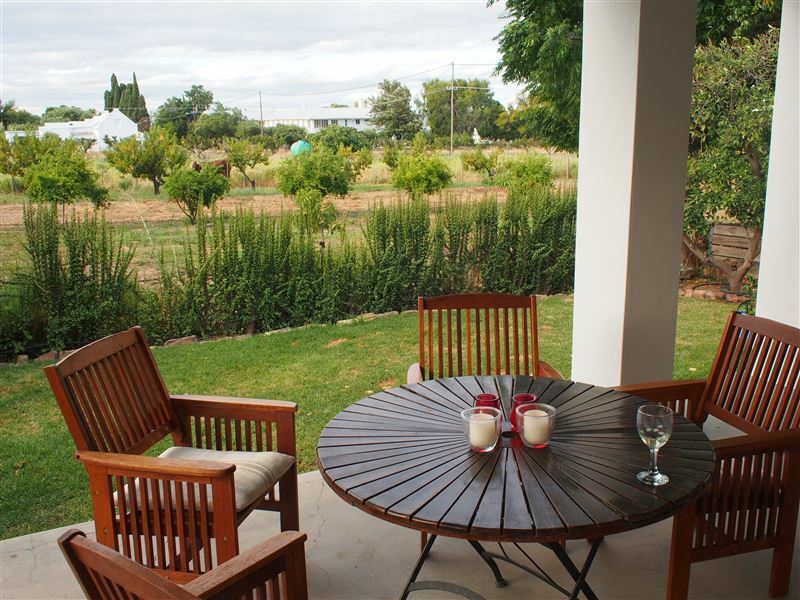 "Excellent accommodation, close to main street of Prince Albert. Very spacious."